The Santa Ynez Band of Chumash Indians recoil in disbelief about your public display of support of the Chumash Heritage National Marine Sanctuary. How is it possible that you can support marine life which we agree are part of Chumash heritage and not support the actual federal recognized Santa Ynez Band of Chumash Indians whose Santa Ynez Indian Reservation is in the middle of your Congressional District? While the land of the Chumash people has been diminished to a mere 144 acres in the Santa Ynez Valley, how can you extol a marine sanctuary the boundaries of which were stolen by military force from the Chumash people. While the now 144 acre Chumash Reservation is in a riverbed and swamp, you have repeatedly opposed the efforts of the tribe to acquire land for housing its members and their children, grandchildren and great grandchildren. Your opposition to HR 1157 to provide such housing for the Chumash is a matter of public record. 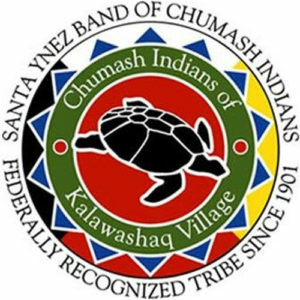 We ask that you not associate with any project that infers that you support any Chumash heritage (including marine life) until you can actually support the flesh and blood members of the Santa Ynez Band of Chumash Indians and their quest to provide housing for their members and children. Santa Ynez Band of Chumash Indians Tribal Chairman Kenneth Kahn sent the above letter to Rep. Lois Capps on May 4. Y’all need some Jesus up in here. The Chumash have a point. Lois Capps is using the Chumash name to push her agenda. An agenda with NO PLAN. The Chumash are calling her out on being a hypocrite. They don’t want THEIR name associated with her. That’s like bands and songwriters NOT wanting candidates using their songs on the campaign trail. Lois Capps doesn’t care about people or animals. She cares about her PAC and special interests groups. She wouldn’t do HALF the crap she does if she actually LISTENED to her constituents. When ACA (Obamacare) came out, I spoke to 10+ of the “top” doctors in SLO county about their opinions. They all told me that ACA’s reimbursement rates are even below Medi-cal, and they weren’t going to take it. They all told Lois Capps that all it would do would fleece middle class people in to paying $1000 plus a month for care, only to have no providers accept it. And the only place Obama care people can basically go is Community Health Centers. What a bargain. Again, I’m not saying I think the Chumash way of life is the way to be, I’m saying I wouldn’t want my Tribe associated with her either. WOULD YOU? Replace Lois with someone with 30 years of health care experience and agrees with you on ACA. It would appear the regime change was the only thing that did … change that is. The swagger and strong arming tactics continue with the new boss to the point where the tribe now assumes they can tell people and members of Congress what to say and think about Chumash related issues. Perhaps Lois should have checked with them first before publically praising them. Silly Congresswoman, you should have asked permission. Yeh, sorry Lois. Even though you are a Congresswoman, you are no longer allowed to have an opinion about anything tribal and you certainly can’t “associate” with it. The tribe has said so, right here in black and white. The gall of this article surprises even me, which is saying a lot. Actually I am a little glad of this article. More people that read it the better. The reader will get a glimpse into what we are dealing with here. What many communities across America are dealing with. It isn’t just us. This is everywhere. Until people get mad as hell and say they aren’t going to take it any more, small and large cities and towns will be gobbled up by gambling money greed. The Feds are just as guilty. They make fine bed partners for big gambling/mafia/cartels that are really behind all this. For the few of you out there that still believe (or try really hard to believe) that this is all about housing, wake the hell up. The 130 or so tribal members (and shrinking) are all very wealthy. Feel sorry for their ancestors all you want but the presently alive tribal members are not missing any meals and if they want to, have the capacity to live in absolute luxury. Many do as they “earn” tens of thousands of dollars every month, year after year. America has more than paid for its sins and indeed, all those who were wronged are long dead. Its time to move forward as Americans. This whole country within a country thing is not working out for anyone. When news of the sanctuary first hit some months back, I was skeptical. My friends all said I was crazy. A marine sanctuary is good right? Yes. In theory. Unless the tribe also wants to claim all of IT as theirs as well. Read the article again. Then remember the TCA map. Then be very worried. Sure sounds like they are claiming this part of the ocean and coastline as theirs doesn’t it? Then think about what unregulated abuse of the coastal land and water would mean. Kiss your beautiful untouched coast goodbye people. An ugly badly designed high rise hotel would look lovely rising from the jagged coastline wouldn’t it? How about acres of multi story parking lots? Huge lights 24/7 to curtail drug dealing and car break ins? If they can ruin this valley so easily, believe me, they won’t even blink at ruining the coast if it means more money in their already bloated pockets. Think about it. Sovereign immunity, unregulated Federally sanctioned development right on the coastline. Scary isn’t it? The Sana Ynez Chumash are not involved with Fred Collins. He’s not Chumash. Reread the article. Are the Santa Ynez Chumash Indians asking for more housing building permits to facilitate their stupid people industry? Why would Lois recognize that need? If the government hadn’t stolen their land in the first place they wouldn’t have to be trying to survive with casinos. So we should give them Sodom to pay a historical debt? What will our great-great-grand children have to accept for today’s decision? Human slavery, a spiritual tax to remind us of our Directives. ?